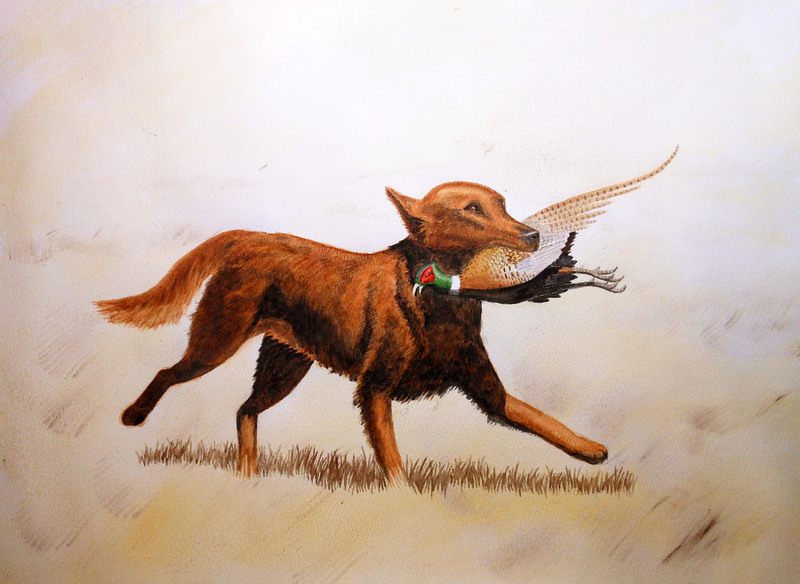 This entry was posted in Traveling Companions, Watercolors, Wildlife and tagged dogs, golden retriever, loggers, logs, Nellie, rattlesnakes, snakebite, watercolor, watercolour, wildlife by foresterartist. Bookmark the permalink. Very touching story. I am so glad Nellie pulled through. Beautiful dog and amazing painting. Nellie is one lucky dog! 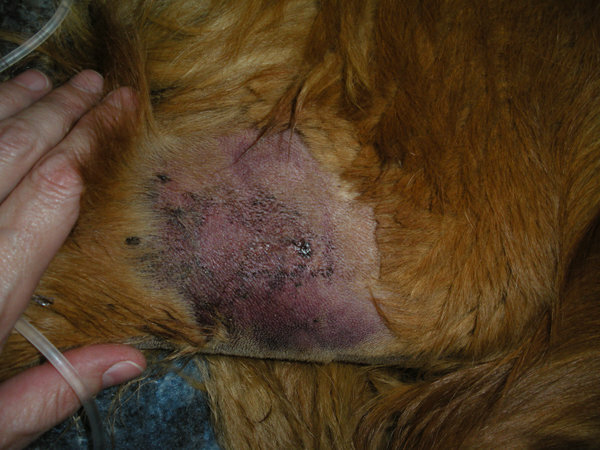 Dogs invariably tend to get bitten by snakes almost every time they encounter one, as do cattle. I have seen so many die because most people had no idea what kind of snake bit their dogs ( you are right that the vet must know what type of snake it is) and in India the list of venomous snakes is pretty long. Plus anti-venin is an extremely precious commodity in our country considering the ratio of the human and snake population. Veterinary clinics( which in all states/towns/villages except perhaps in the metropolitan cities are government run) never carry any. Usually the local government hospital for humans has some vials but they can hardly distribute it for treatment of animals, quite apart from the fact that the dose for animals is higher than humans. I always found it strange when our text-books told us about identifying the different snakes by their markings and so on. I mean do you know how fast a kind cobra is? Plus, hardly any one in the lower income bracket’s and even middle-class ones will have a camera ( though cell phones carry some kind of camera nowadays and that is one accessory every Indian has now even in the lowest income bracket) let alone the idea that the identity of the snake is important. We just have so many many people struggling for livelihood in the little land mass of our sub-continent and history has not been kind what with invasions and such. Plus, it seems impossible that anyone can control the seething humanity that is my country. People encroach on municipal land all the time extending their homes beyond requisite guidelines right onto the road and it becomes impossible for government to tear it down for fear of igniting some minority/ sect/ religious community/ caste and loosing votes. Sometimes, a communist government doesn’t seem a bad idea. I think China were clever to realize it was the only way to control huge populations. We are just so short on space. When i see photographs from your country of the huge open spaces it feels magnificent. I think the only empty spaces in our country are the sheer sides of mountains ( though my state’s i.e. ‘Himachal Pradesh’s’ entire population is less than that of the the metropolitan Bangalore, where I stay now and we do have pine forests and green fields back home * nostalgic for home now*) . Something has to be said of the British genius for planning which shaped your country. You guys are so young and you started with a blank slate with so much experience behind you. Though I am sure if Indians had discovered a new land mass we would still have created incredible confusion and chaos. Lol! I am sorry for the long comment. I just woke up early on a weekend while the hubby is happily snoring away and I seem to be in a introspective, talkative mood 🙂 Notice the meandering from snake bit to government policy. If I continue I might just move to world peace and greenhouse effect. Wow, that was a long comment. My wife and I enjoyed it immensely. Nellie was very lucky indeed. Nellie is a working/hunting dog. She has contributed to our family by retrieving wild fowl for years. She is a loved part of our family and we owe her the best care we could give her. 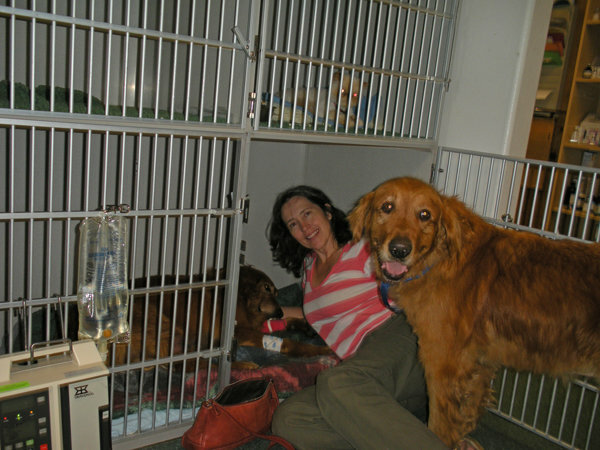 We are lucky that we have the veterinary care that we do. The free enterprise system allows us to have one of the best veterinary systems. It is a wonderful thing to live in a place with wide open spaces. We are truly blessed here. Besides, our snakes aren’t as numerous, big and dangerous as your snakes. Though we do have rattlesnakes in Virginia, I’ve only seen one, and hope I never see another one. Nellie was a lucky girl. She was very lucky. 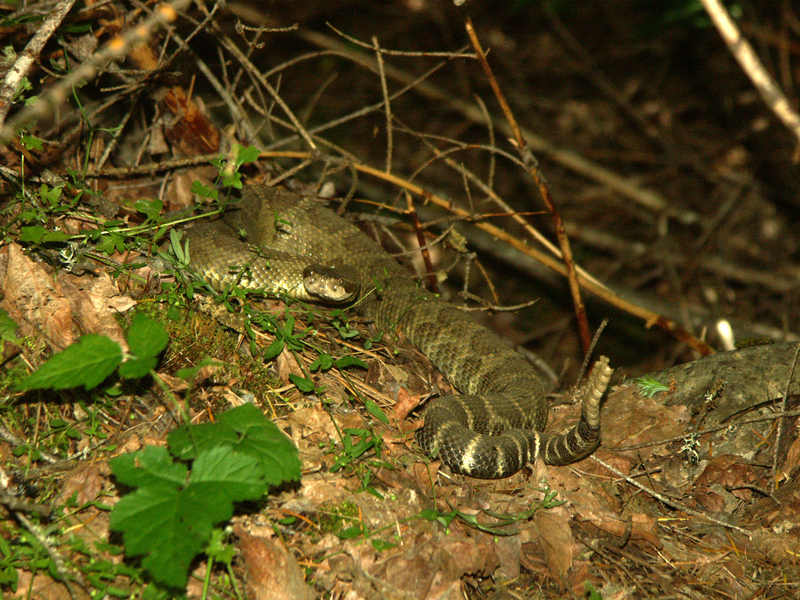 I don’t mind seeing a rattlesnake out in the woods now and then, but not around the dogs. Also, they aren’t bad eating, but they don’t taste like chicken. A beautiful watercolor, and an inspiring story of love. It’s not just about “pressing the like button” – I truly find this post awesome! Thanks so much. It was an experience I hope never to repeat. So glad it had a happy ending. Wonderful story. All along the way while reading it I was hoping that Nellie was going to make. So grateful she did. Can’t even begin to imagine how you must have felt. Great post. Thank you. I was in panic mode! We were so relieved it was a happy ending. She is a beauty and a beautiful painting… and thanks for all the snake info as well. we live with rattlers but i cannot just now remember which one… i think i should find out. thanks. Thanks. Given 10 years it’s amazing what one can do. Beautiful painting, Tim. What a story! I am sure glad you knew the seriousness of snakebite. Some people, without your knowledge, may have waited too long. I’m glad Nellie recovered. Thank you Leslie. I knew it was serious alright, but I didn’t realize how serious until the second day. Wow, what a gripping story. I was afraid it would have an unhappy ending, but it didn’t. I’m really glad. Gorgeous watercolor, congratulations on a real beauty. What a story! So glad that you guys knew to take immediate action – happy ending for sure! Thank you Mary. We are lucky to still have her. I like the rich, warm brown tone in your painting. Very interesting story too. I have to say that Nellie is pretty great. She is an unending source of amusement. I am so glad Nellie pulled through. I can only imagine the anxiety of the situation. In hind site, we probably are fortunate to visit the Livingston gang, late in the year, as we might be missing rattlers. The picture with Mary and Tom Tom, is an uplifting one too! :) A job well done by all! I nominated you for Very Inspiring Blogger Award.It would be an honor if you accept it. She is a very tough dog. After the bite, on the trip down from the mountains to the vet, she never whined once. I could tell she was in excruciating pain. That’s quite alright Ralph. I have greatly enjoy your comments. I’ve read some of your stories to my wife. We got a great laugh from them. What an amazingly strong and beautiful dog. Lovely portrait of her as well. As I read I feared the worst for Nellie and had tears in my eyes – am so glad she pulled through. A friend’s dog was also bitten, and survived. I am grateful we have no poisonous snakes lying in wait in my area. I’m glad your friend’s dog was ok. Dogs and snakes are not a good combination. Thank you Paula. I’m so glad you enjoyed it. Thank you Deb. I will, although we are starting out a bit dark. Big storm here knocked out 3 power poles out front last night. Wow, I was holding my breath through this whole story! Nellie looks like our sweet Hurley! Did you know that Nellie was the name of James Madison’s mother! What a funny connection! But we are so glad she is okay! What wonderful dogs you have and what a great and well written post! We just love the paintings! Thank you so much. I enjoyed your post about Hurley very much. He would fit right in with our pack no problem. By the way did James Madison have an aunt name Blitz. We have another girl. You never know. Also, thanks to both of you for your service. Wow! That is quite a story. You had me biting my nails, hoping the dog would be ok. I’m so glad it turned out well. Your painting is beautiful and I’m very happy you left a note on my blog that led me to your terrific blog. Thanks! Thank you Jana, that was very kind of you to say. I’m glad you enjoy my blog and I really enjoy your beautiful work. I’m glad Nellie pulled through! She needs to keep frolicking and being your muse. Yes, she is quite a muse and quite amusing! I too was holding my breath while reading this post, worried that it might have a sad ending. I was so happy to hear Nellie’s doing well! Lovely painting of her as well…she must be truly flattered! Thanks. I don’t know how flattered she was, she is such a diva. it may also have been therapeutic for you rather than procrastination; the process behind it, since it took 10 years. that is huge amount of time, i have yet to encounter a similar task; though the closest i could come up with would probably be the same number of years i’ve quit drawing and the difference between how i was then, compared to now. reminds me of the story about ‘the samurai and the zen master’ where the latter taught the former about the virtue of patience by serving him the most delicious bowl of miso soup. ‘Nellie in Watercolour, Part 5’ to me, i think, is the ‘miso soup.’ it took time, but i’m quite certain it’s worth the years involved. and of course it may have been a fantastic journey. My heart was in my mouth as I read this story – I’m so glad it all ended well – she looks a beautiful faithful friend. Thank you Catherine. She is a blessing. Thank you for the kind words. I visited your site, very nice poetry. I look forward to seeing your watercolors. Here in Indiana we don’t have but a few poisonous snakes, very few cottonmouth, copperheads, and almost never seen, rattlers, so we have very little to worry about. Glad to see your good friend survived to give more happiness. I also enjoy your art work, I just have been so busy that I haven’t got to visit much. Have a great Holiday! Thank you. I’m glad you visited. I really enjoy your art too. My 4 year old grandson loves trains and would love your polar express. You have a Merry Christmas! Very touching and fortunately “happy ending” story and the picture was well worth taking time over (10yrs! LOL) – the finished result is a triumph, especilly when considering, as you have to, the provenance and the story. Many thanks for taking the “time” to post. Fortunately we don’t have many snakes – perhaps the odd Adder or common Grass Snake, though I’ve only seen one in my life. Thanks, I’m trying not to take 10 years on other projects, although I have another one to finish when I have time. I am glad the painting of Nellie wasn’t a memorial painting. The snake bite was the only one we have had to deal with. 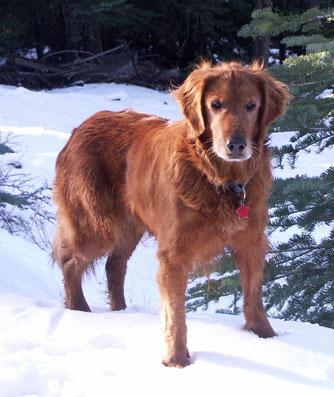 We have raised a lot of golden retrievers over the years and had some near misses with rattlesnakes along the way. Hopefully we won’t have any more. Thank you for sharing this story, dog lovers will understand the experience very well. If I know my dogs suffer from something, I feel it my self and this is mutual, that’s why they’re so wonderful beings. Thank you Katleen. They are such wonderful creatures. To see them is suffer is so difficult. At such a time I wish I could take the pain for them. This story made me cry. The dogs have been such a big part of your family and what a brave girl! It had to be so hard to lose one and I’m so sorry. Her painting turned out beautiful and you have to be very proud of it Tim. Thank you Terry. When I finished the painting, I matted and framed it. Then at Christmas I gave it to my oldest son, because Nellie was his girl. I’m just so glad to have gotten it done and to him before she passed. Now he will have her with him always. Great story. We live in Tucson, AZ and have lots of different species of Rattlesnakes here. I brought my dog to Rattlesnake class because I wanted him to have a chance if he encountered one. It was amazing the way they do it. I never heard the Rattlesnake rattle once, or make any sound. On the first encounter at the class my dog went straight for the middle of the snake and it went for him. If this had been on the trail, or yard, he would have been struck. I blogged it because if somebody sees it and it saves a dog, it’s worth it. It wasn’t pleasant for him, but he did it. http://visualriver.wordpress.com/2013/04/28/george-the-dalmatian-goes-to-rattlesnake-avoidance-class-in-tucson-arizona/ and I hope it helps. We paid $75 for the class and I think it was well worth it. They give refresher classes for $50 each for the dogs life after that. Beautiful painting. I can see the dog’s personality in it. Fine painting of Nellie. Thank you sharing it. Thank you, I gave the painting to my son at Christmas. I think this is a brilliant idea. By the time we had Nellie home after the snakebite we had spent nearly $3,000. I loved Nellie’s story. Just read it after your post of April 23rd. Two of my daughters are married to hunters and between them, they have 5 Labs. I know of the bond between a dog and his handler…. powerful story, very well told. May the Lord above hold Nellie, you and your family in His strong and capable hands, giving you all you need. I’ll be reading a lot more about your life and your art since I’m now following you. Thank you so much Judy. I think God gave us what we needed when he let us borrow Nellie for the time we had with her.